Ok, I confess, I have a ‘thing’ for chunky heavy Whitefriars glass… I keep buying it! I line it up on my windowsills – it catches the light beautifully – but there does reach a point where I can’t fit anymore on. My kitchen sill houses all my green glass (including a few Murano vases, a uranium piece, and a bunch of bowls). The bay window in the lounge has my ruby red collection – but it’s overflowing! The spare room has the Sklo vases. The bedroom has anything purple. The bathroom is everything teal. It’s quite a glass collection (predominantly WF and Murano)! 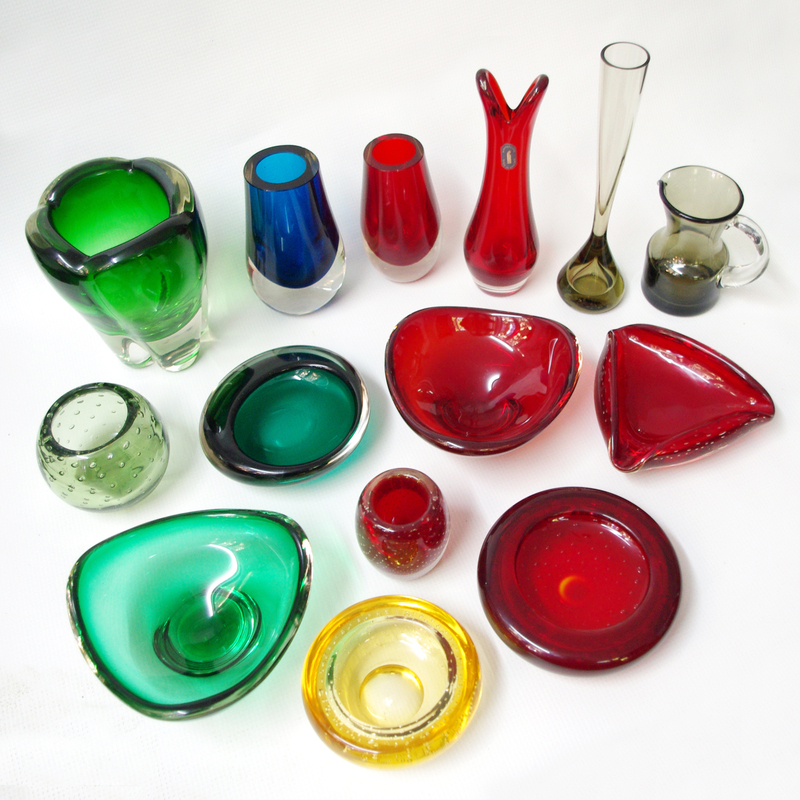 beautiful image of your glass collection: i want!